Kathmandu (ICRC) – The International Committee of the Red Cross (ICRC) and Dhulikhel Hospital of Kathmandu University are jointly organizing three emergency-room trauma courses this year, the first of which will take place in Dhulikhel, Kavre, from 4 to 6 December. A total of 22 doctors will attend the course, which aims to enhance and complement the skills of doctors in managing emergency trauma cases. An ICRC specialist surgeon, Dr Enzo Chemello, will coordinate the course with support from three doctors from Dhulikhel Hospital and one from Armed Police Force Hospital. 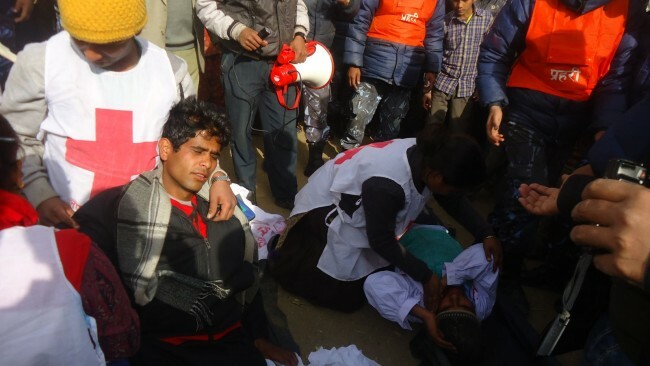 The ICRC has already organized 10 such courses in Nepal. By the end of 2014, a total of 271 doctors and specialists from 99 hospitals of 73 districts in Nepal will have benefited. This week’s course will be immediately followed by two further courses with the aim of reaching more doctors working in government hospitals from all regions of the country. The next course is scheduled to take place in Nepalgunj from 8 to10 December and the last one in Hetauda from 12 to 14 December.